I do. I have a lot of falling over memories. You could never really get the shoes the same size as each other. But you felt like a boss. Also made you taller therefor more grownup. Fisher- Price dominated my youngest years. 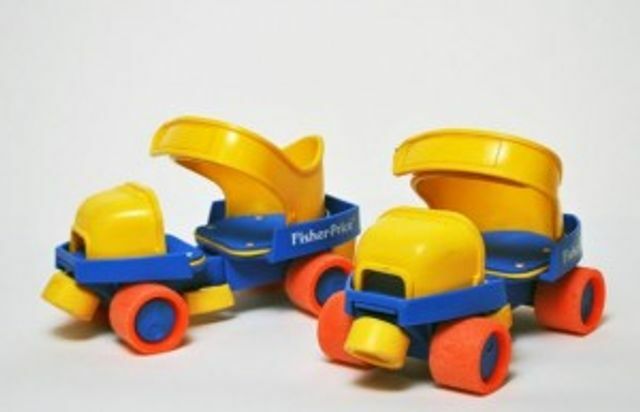 If you didn’t learn to skate on these, you honestly don’t understand the sheer terribleness that you have missed out on. They were so bad, that you never got a proper roll in; strapping toy cars to your shoes and taking a chance on a steep hill would even be a better alternative. Yet they were still boss.